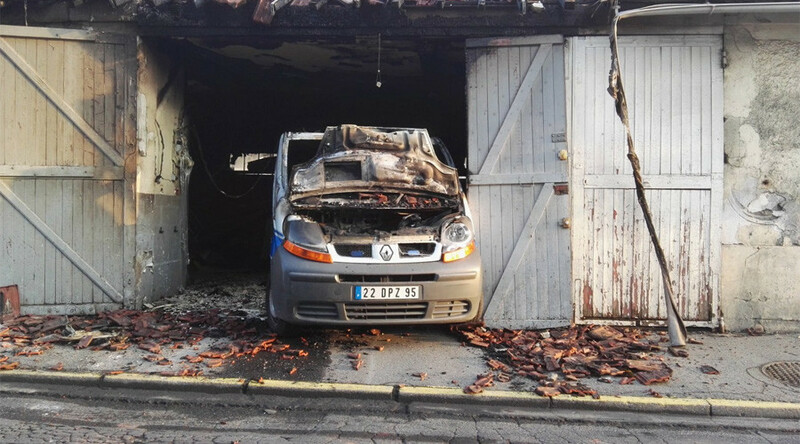 At least 15 vehicles, including police cars, have been set on fire in the Val d'Oise area in the Paris suburbs in a second consecutive night of protests over the death of a 24-year-old man in police custody, local media reported. The protests took place in the Persan and Beaumont-sur-Oise communes in Val-d'Oise department, north of the capital, the prefecture told local La Gazette du Val d'Oise newspaper. According to officials, at least 15 cars, including police vehicles, and 35 waste containers were set on fire overnight from Wednesday into Thursday. At least nine people were arrested on suspicion of carrying out arson attacks, and of armed gatherings. The prefecture told the newspaper there was a “tense situation” but the authorities managed to remain in control. Some 180 police officers and gendarmes were mobilized. A 24-year-old man, named by the media as Adama Traoré, was arrested by police in regards to an extortion case. He later died on Tuesday afternoon while being held in police custody. Prosecutor Yves Jannier said the man had suffered a heart attack while in custody. However, friends of Traoré claim he was beaten by police. Later on Thursday, French prosecutors said the man died from a “very serious infection” and that his body showed no traces of violence. Similar clashes took place in the Val d'Oise area the night before. Six police officers were injured during the violence after being shot by pellet guns, while one arrest was made as youths clashed with the police. The violence came as the French parliament voted to extend the ongoing state of emergency for another six months, until the end of January 2017. France has been on high alert following the deadly attack in Nice on July 14. At least 84 people were killed when a truck plowed through a crowd during Bastille Day celebrations. Weapons and grenades were found in the vehicle following the rampage. The powers deriving from a law adopted in 1955 offer the government a number of exceptional measures in the event of a threat to national security. Under the new extension, French authorities have been given the power to make house arrests without a court order, as well as conduct searches without court authorization.